I was supposed to use my spring break while I was still in England to start writing about my life in England. If I had, it’d be tonally very different. I’d probably find different details more important. I’ve left it too long and soon I’ll go back to school for my last semester before I finish my Bachelor’s Degree so I have to just throw up a bunch of memories, poorly spatially organized, before it all fades away. When I first picked up the book “Dune” (I almost wrote that it was by Herbert West but Herbert West is the guy in Reanimator), I was immediately turned off by the fact that it had a lexicon in the beginning which I had to keep referring back to. In fact, the same thing happened to me with every single JRR Tolkien book I attempted to read and their maps. Nonetheless I’ll have start this account by making a kind of emotional map. 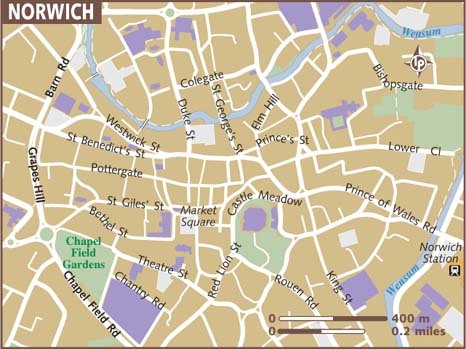 It will be confusing because I found Norwich pretty much impossible to navigate up until the week I left, and there weren’t street signs anymore. I suppose I am a stupid irony-deficient American because I expect there to be street signs. It was hard to find a visual map that might aid me in this endeavor because, as any gay witch for abortion girl scout learns, maps are made for so many different purposes. 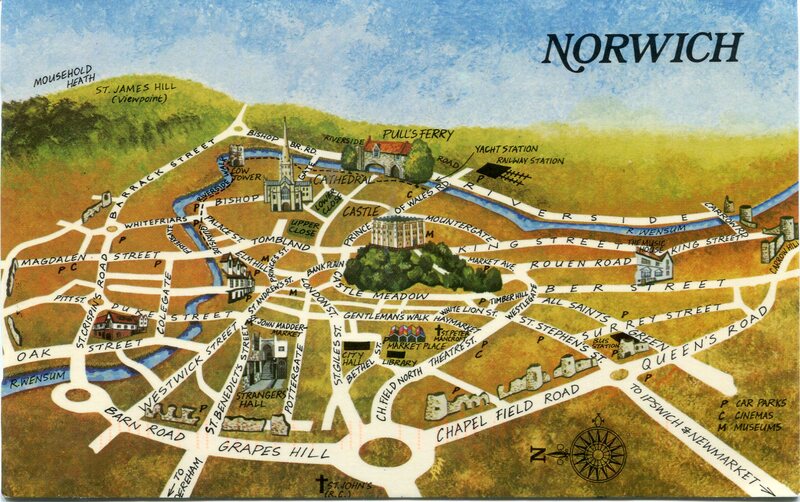 I really liked this map that looks like it’s from the 70s or 80s because it shows what Norwich looked like before Chapelfield Mall started budging up on the barriers of the medieval wall. In Norwich, “mall” and “wall” don’t rhyme, by the way. This isn’t part of my own emotional history, but Mousehold Heath is where they found the body of William of Norwich. I will not tell you where any of the bodies that are connected to me can be found. But hey recently they found a bunch of skeletons under Chapelfield! 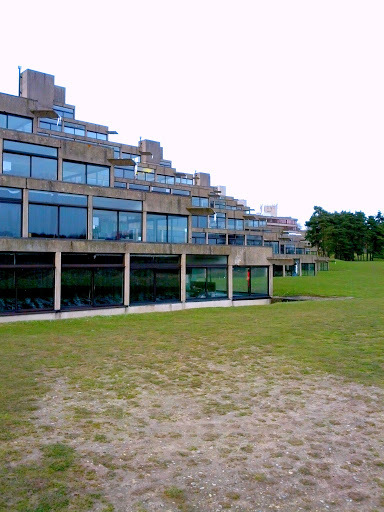 University of East Anglia campus on (the) Earlham Road is where I stayed, about twenty minutes outside of the city center. I lived in the little section not quite on campus called University VIllage, a loud, unbearable haven from the quiet, pleasant, lakeside ziggurats. Behind my flat was a trail that went past a medieval church, a weeping willow arching over the creek, and which led to a patch of marsh land on which cows, sheep, horses, and miniature ponies grazed. Taking the 25 bus from campus, or later when I wised up, the 21 or 22 from right outside my flat, to the city center would take you up either (the) Dereham Road, (the) Unthank Road, or (the) Earlham Road. Dereham Road afforded you views of a wooded cemetery, and then a busy road lined with Polish and South Asian grocery stores. The Earlham Road took you past the beautiful Roman Catholic cathedral and the hidden and enchanted Plantation Gardens. The Unthank Road just sounds funny. I never got a chance to go to the patch of it lined with charity shops. I mean, I had chances. But I was lazy. The 25 bus lands you at St. Stephen’s Street, which to me always felt like the transition from suburb to city. St. Stephen’s had a Wilko, where I finally bought some goddamn sheets and a pillow the second day I was in Norwich. Past Rampant Horse Street was Marks & Spencer, a department store with a Food Hall where you can purchase Very Nice Things. DID YOU READ THAT SENTENCE PAST RAMPANT HORSE STREET? I wouldn’t. I didn’t like to take the 25 bus because it was full of Students who were Having Fun and this was extremely alienating to me. 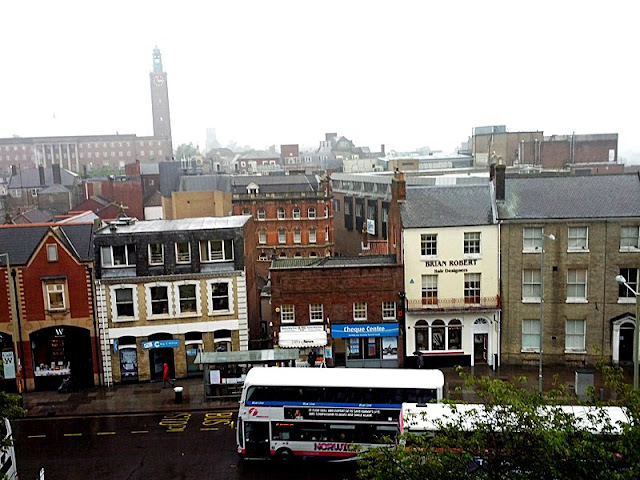 I usually took 21 or 22 bus to Castle Meadow, the stretch of road lying under the shadow of the Norman (with Victorian restructured facade) Norwich castle. From there I could cross the street and have access to the medieval lanes, which are mostly inaccessible to cars. And platform shoes. Never try to walk a cobbled street in platform shoes. Once safely in the town square you have views of City Hall, which Hitler apparently greatly admired, the Forum, an extremely modern library and BBC space, and the stunning town market. Then you can amble up and down the lanes. Pottergate is home to Biddy’s, the sweetest and loveliest tea shop I have ever been to. It also hosts the Birdcage Pub, where I only managed to actually have a drink twice because they were always out of ingredients. The Belgian Monk was the site of a first date I had with a man who worked as a Viennese postman. 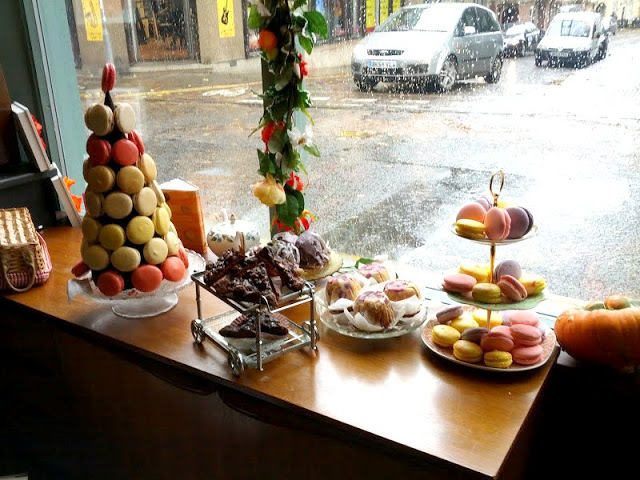 St. Benedict’s Street has a little cafe called House, and in the window they have little towers built from macarons. 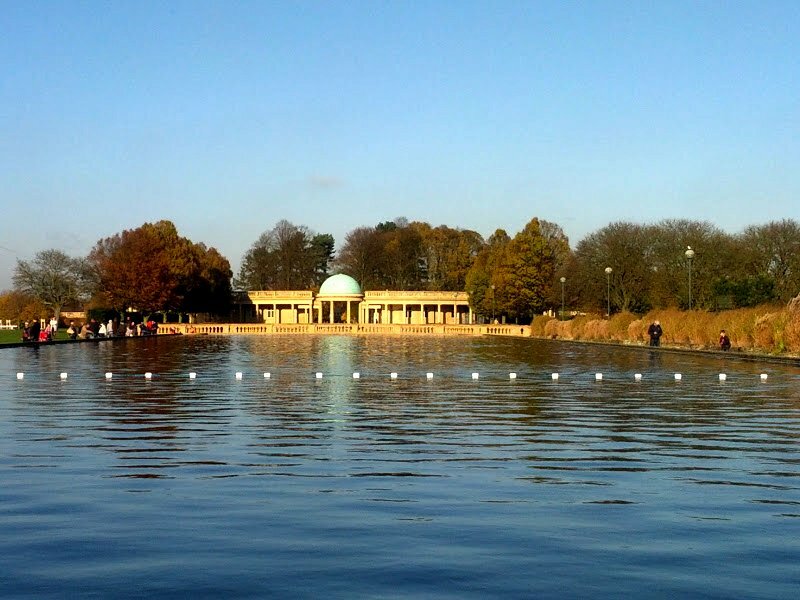 I went there only once, when R, a boy I met on Okcupid, drove from France to Norwich to visit me. St. Benedict’s is also is where I first met my ex-boyfriend, at the Plough, which makes the nicest cocktails in Norwich. 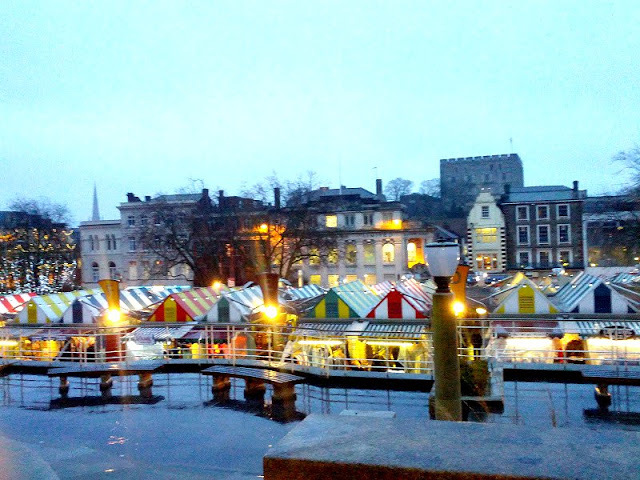 I first went there when I met my friend H, who became one of my closest and only friends in Norwich. St. Giles Road is where the Waffle House is. You can imagine what they serve. It’s also the street where I bought one of my very very favorite dresses ever, at Antidote Vintage. Supposing you are tired of nice vintage shops in this part of town, you can amble back up the lanes, to St. Andrew’s St. This is the medieval guild hall where I went to 10 or 11 vintage fairs and where I got to sing Benjamin Britten’s Spring Symphony with a whole orchestra. Across the street is Cinema City, the medieval house restructured into a movie theater where I spent my entire last week in England. After watching an utter mess like the Great Gatsby you can walk down Elm Hill, the most beautiful street in any city anywhere in the world, maybe. 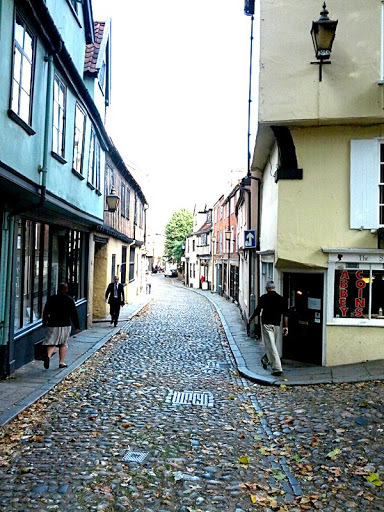 Elm Hill will take you to Tombland, where the Norwich Cathedral is. The OTHER Norwich Cathedral. And by that I mean the FIRST Norwich cathedral, and presumably also the first Roman Catholic Norwich cathedral, until it wasn’t anymore. From Tombland you can walk down Magdalen Street and have a kebab with your art school friends who are 5 years younger than you. If you don’t like your walks pleasant and scenic, Prince of Wales Road is the road for you. It’s lined with the shittiest clubs ever, and more kebab shops. This is where an idiot bit off another idiot’s ear at the “New York, New York Diner”. This is also where a team of clubgoers dressed as Oompa Loompas beat up and mugged someone who was assuredly just going for a nice evening walk. Thorpe Road, just past the train station, was where my ex-boyfriend shared a beautiful house with 5 roommates. I spent 6 out of the 8 months I lived in Norwich at “the Mansion” so I’d be remiss if I didn’t mention it. I still feel bitterness and heartache so I’d like to leave him out of it, but my memories would be nowhere near complete if I did. I’ll refer to him as Pepper, even though anyone who’s seen my Facebook probably knows his full name and what he looks like and what kind of foods he eats and his shoe size since I posted about him so goddamn much. AND HE ACTED HIS SHOE SIZE INSTEAD OF HIS AGE AM I RITE LADIES? No. Riverside Walk is where I went bowling the first time I met H. And the first time I met Pepper. And the second time I met M, a Welsh dude who I’m sure ended up feeling “friendzoned” because he deleted me from Facebook after several months of me not banging him. Riverside Walk is also host to the first and only Nando’s I ever ate at, on New Year’s Day. That’s dedication, Nando’s. There’s also the Odeon Cinema, where I saw Silent Hill 2: Revelations, certainly one of the worst films I’ve ever seen. I also saw Wreck-It Ralph there. In England they pronounce it “Wreck-It Rafe”. And they eat hamburgers with a knife and fork, the utter fucks. You can get to Morrison’s through Riverside Walk, and that’s where you can distract your boyfriend from doing his weekly shopping for Marmite, crumpets, and the type of heavy-duty chocolate supplies that only the heavily menstruating usually require. I am describing this an endearing and not bitter way. You can tell because I had to indicate it afterwards. This has assuredly been completely useful.